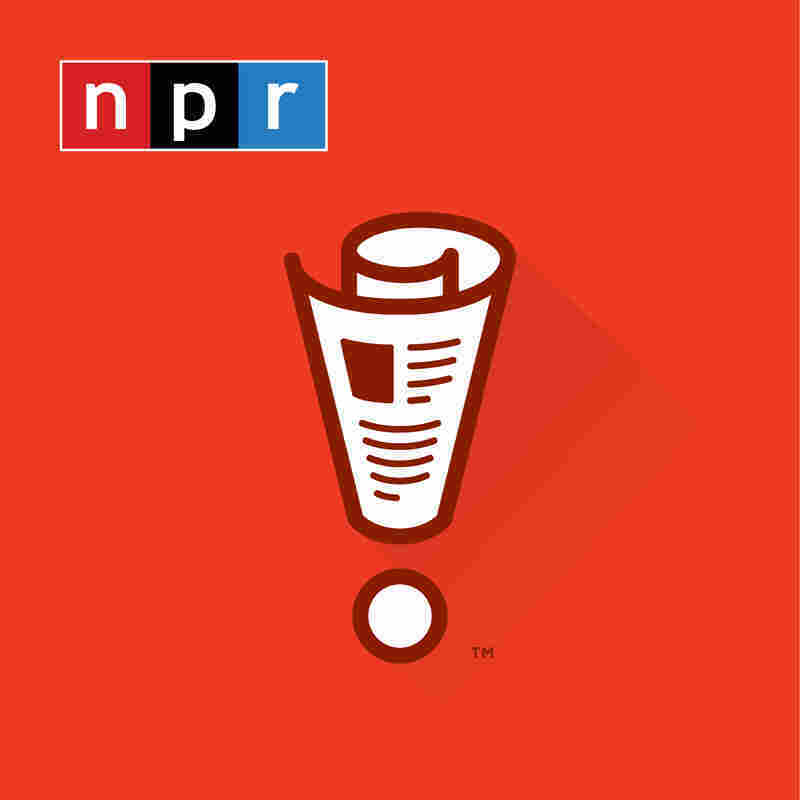 Not My Job: We Quiz Robert Siegel On Seagulls, Nina Totenberg On Tote Bags To mark Wait Wait's 20th birthday, we subjected two public radio legends — Robert Siegel and Nina Totenberg — to terrible puns about their own names. Originally broadcast Oct. 27, 2018. To mark Wait Wait's 20th birthday, we subjected two public radio legends — Robert Siegel and Nina Totenberg — to terrible puns about their own names. Originally broadcast Oct. 27, 2018. Last year, we at WAIT WAIT celebrated the fact that we have been on the air for 20 years. And NPR celebrated the fact that even after all that time, we haven't completely destroyed their reputation. ROBERT SIEGEL: I did. I retired in January, yes. SAGAL: And how are you doing? SIEGEL: And it's a lot of fun. SAGAL: Well, how are you spending your time? SAGAL: Nina, you're still at it. And are you still enjoying yourself after this many a-years of doing reporting? TOTENBERG: Most of the time, yes. When I got a great story, yes. TOTENBERG: ...It gets a little old. SAGAL: Yeah. Well, I do know that, one thing, you've been covering the Supreme Court for many years, but the party scene there is about to get lit. TOTENBERG: It's been lit before. SAGAL: I know. I mean, I know. SAGAL: I do want to ask you - so 20 years ago, NPR started this show. And you guys were - I don't know - the backbone of NPR's serious reputation. What did you think of it? TOTENBERG: ...Great people here and you. SAGAL: I don't know if the listening public knows this, but everybody at NPR - most especially Nina and Robert but not only them - actually have tremendous senses of humor and kind of - I know this. You wish you could indulge it more on the air. So we wanted to ask you now to go back to some stories and see if there's anything you wish you had been able to say. SIEGEL: That's a profession, yes. TOTENBERG: I was hosting All Things Considered. And I - somebody handed me live on the air what I was supposed to say - the intro to a Robert Krulwich piece. TOTENBERG: And their hands had moved on the typewriter. And so the - it was gibberish. SIEGEL: That was the only thing wrong with the copy, as I recall. TOTENBERG: And I looked at it, and I had not, at that point, done a lot of hosting. And I looked in the booth. And I said, I can't read this (laughter) and pointed at the booth to play the piece. TOTENBERG: He was then the news director or a vice president for news or whatever bloody title they gave you in those days. And he called me to his office. TOTENBERG: And he could barely conduct my reprimand because he was laughing so hard. TOTENBERG: And I said to him, well, what should I have done? And he said, you could have said we're having technical difficulties. TOTENBERG: And I have ever since used that. We're - if you have - hear me say we're having technical difficulties, that means I don't know what the freaking hell is going on. FAITH SALIE: You two are so famous to many people but a very specific group of people. And you're also not recognizable. Like, you - we have to close our eyes to be like, oh, there are those famous people, right? So what is the funniest or most memorable fan encounter you've had? SIEGEL: I remember there was a period when the typical Washington cab driver had a graduate degree from a university somewhere in East Africa or in the Horn of Africa. And they drove around all day, and they all listened to NPR nonstop. And I must've had, in the course of a couple of months, three different cab drivers with whom I had the following conversation, which was, you're Carl Kasell? SIEGEL: I would say, no, I'm on in the - Scott Simon? No, I'm Robert Siegel. Oh, Robert Siegel. He says, your coverage of Eritrea is not very good. KURTIS: Robert Siegel, Meet Actual Seagull. Nina Totenberg, Meet Actual Totin' Bag (ph). SAGAL: ...Two out of three questions correctly, you'll win our prize for one of our listeners - the voice of their choice on their voicemail. Bill, who are Nina and Robert playing for? KURTIS: Gayle Nicholson of Westland, Mich.
SAGAL: B, Inuit people used to stuff a dead seagull in a bottle of water and let it ferment, making Seagull Wine; or C, Polynesians used to train them to race with each other, and they did it by making them chase a fake herring tied to a kite. SIEGEL: I'll go with that one. TOTENBERG: We're going for herring. SAGAL: ...When Steven Seagal sexually harassed the seagull, and they quit. TOTENBERG: They think it's the poop. SALIE: In this show, always go for the poop or the fart. TOTENBERG: We'll go with the poop. SAGAL: And, of course, that's the right one. SAGAL: The idea was they would train these to seagulls by coating a fake periscope with food. And the idea is that seagulls would then see one, swarm it, poop about it, and that would end the German threat. SALIE: It worked with my windshield. SAGAL: So your last question - if you get it, you win - is, of course, now about tote bags. SIEGEL: I know. I know. SAGAL: Everybody loves tote bags, of course. Well, people did not like a certain tote bag that was put out by a Georgia company last year. Why? A, it was a, quote, "security tote" made of lead with a lock on it, so it weighed 43 pounds; B, it was the talking tote, programmed to say amusing things when you put stuff in it, like arugula, again? SAGAL: Or C, thanks to an error, it praised Hitler on the side. TOTENBERG: It's the third one. It's the Hitler one. SAGAL: The tote bag was supposed to say my favorite color is glitter spelled in glitter. But due to a really poor choice of a cursive font, the word glitter really looked like the word Hitler. SAGAL: ...Spelled in glitter. Bill, how did Robert and Nina do on our quiz? KURTIS: They did brilliantly, 2 out of 3. SIEGEL: Two out of three. SAGAL: ...Is polishing her Brett Kavanaugh impression. Robert and Nina, thank you so much for joining us for this special show. SAGAL: Robert Siegel, Nina Totenberg.